Whether it is your car, your office or home, being locked out of your place of destination can be one of the worst and stressful nightmare your daily routine can offer—not to mention how unsafe and worrisome it can be depending on the time, date and location of the lockout. Enter Chiko’s locksmith! We know what the problem is because will have always thought and planned ahead, so we have your lockout ‘wired and trailed’ across town. Our mobile key service team of well-equipped technicians is always on the road, any time any day, even in the dead of night, including on weekdays and holidays, waiting for that call from you to eliminate the lockout and get you back into your house, your office or your car with ease. 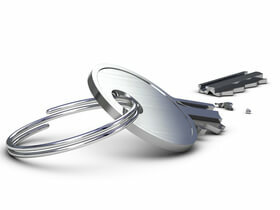 We offer the best lock repair service ever. Calling a locksmith that offers mobile key service is the best and quickest way to help you get back into your car, office or home without aggravating the situation. That is because, at Chiko’s locksmith, the technicians are professionally trained and equipped with state-of-the-art tools and skills to perfectly get past your lock without damaging any part of your property. You can also rely on them for your new lock installation. If the key is broken inside the lock and key extractor does not work, you will recommend that you install new locks to ensure a more permanent solution. If you chose the 24 hours mobile key locksmith services at Chicko’s locksmith, their customized service vehicle will meet you speedily at your current location and help you get back on track. The team is always poise to respond promptly to calls at any time and day of the week, including at night, so you have full assurance that you won’t have to wait for hours before a locksmith technician shows up. The rekey service offered by Chiko’s locksmith will conveniently take care of any damage that may have resulted from your effort in trying to get past your lockout. Being stranded and frustrated in a parking lot in the heart of darkness isn’t something that is funny, and the mobile key service professionals at Chiko’s locksmith understand that. They respond to calls and race to the location driving clear marked vehicles so you will recognize them instantly on arrival. They provide their customers with personalized services devoid of the intricacies of running a showroom, and in doing this, they keep prices lower compare to other locksmith companies, which saves you huge amount of money. Apart from providing 24-hour mobile key service for existing and potential clients, the company is also ready to install new locks in the place of faulty, worn out and break up locks. 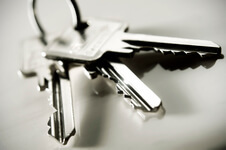 At Chiko’s locksmith, your key and lock services will be thoroughly satisfied.